Chicken nuggets are a nostalgic food for most people. They were a dietary staple for most kids growing up — '90s kids especially (Kid’s Cuisine, anyone?) – and remain popular today. The thing is, they’re still fun to eat. But as adults, it’s our responsibility to take care of ourselves and not fill our bodies with total junk. The good news is, chicken nuggets can actually fall under the millennial-friendly organic, gluten-free and antibiotic-free healthy eating prerequisites. The top-ranked healthy frozen chicken nugget was Bell & Evans Breaded Chicken Breast Nuggets because, “they’re made from chicken breast meat, feature a simple ingredient list and have one gram of fiber per serving, Huffington Post reports. As it turns out, this brand is the overall healthy fan favorite, topping lists by The Kitchn and Insider, too. 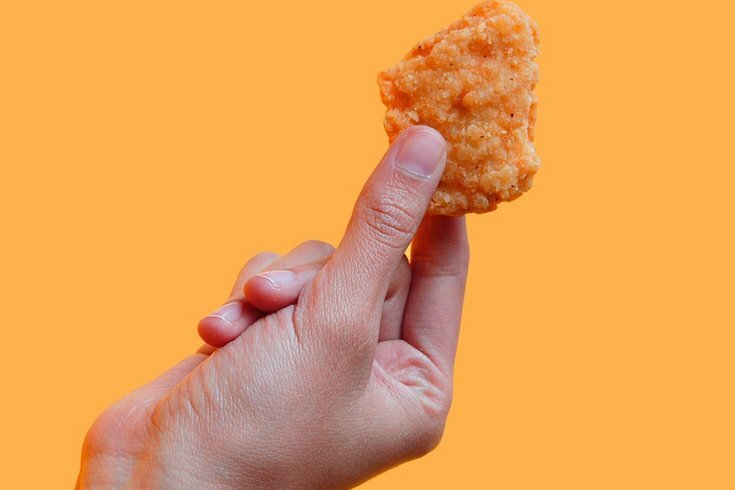 For kids, Earth’s Best Chicken Nuggets For Kids took the cake. Lauded for it’s clear labeling of “no antibiotics used,” use of whole wheat flour and low sugar count, Earth’s Best is a brand you can feel good about giving your kids. As for the nuggets to avoid, Yummy Dino Buddies — the ever-popular dinosaur-shaped chicken nuggets — earned an “iffy” ranking due to the brand’s use of fillers. Popular brands like Tyson, Pilgrim’s and Banquet were all listed as brands to avoid. Check out the full Huffington Post list of healthier frozen chicken nuggets; they cover what you should like or dislike about many of products in grocery freezers. One of the most important things you can take away from this ranking is that it is crucial to read the ingredients on the package, which are prone to misleading labeling. Many brands who label their products as "all natural" — something people certainly want out of their food — are actually far from natural when you take a look in their ingredients. In fact, many "all-natural" brands ended up in Huffington Post's "iffy" and "worst" frozen chicken nugget categories.